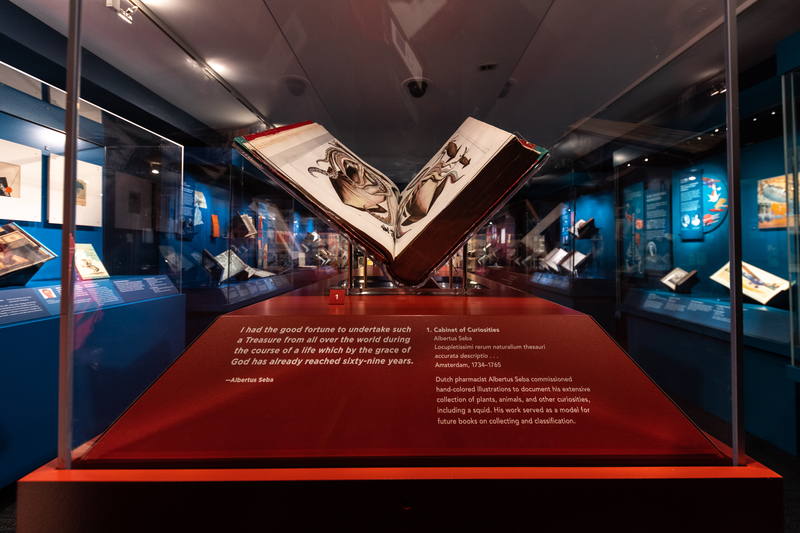 Learn more about this project on our blog. Lenticular graphics at the entrance to the gallery help draw visitors into the space. 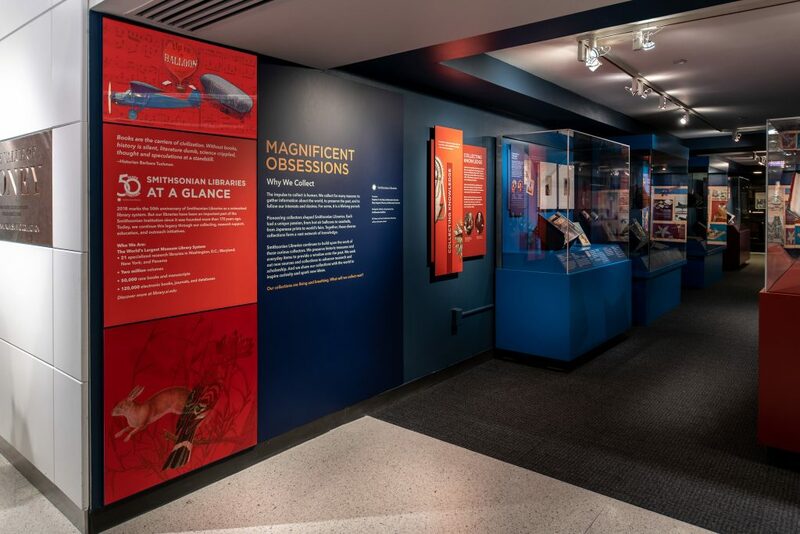 SIE designed and produced the graphics, artifact mounts, and case furniture for the exhibit. 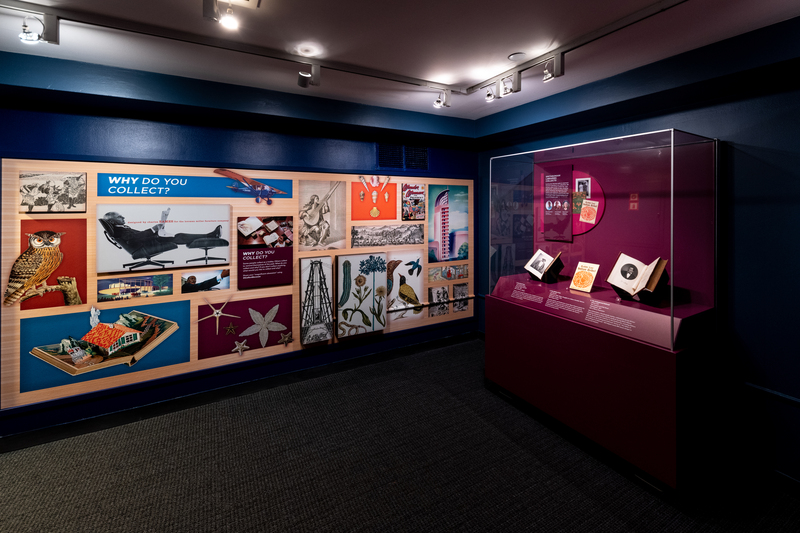 SIE’s designers brought Smithsonian Libraries’ unique stories to life through colorful graphics and the wonderful imagery from books and objects. 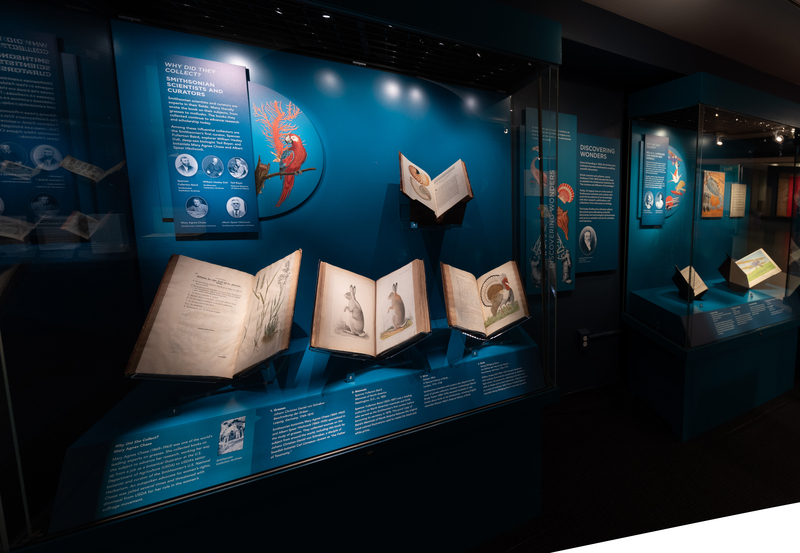 The concept of the exhibit was to create a modern interpretation of the Cabinet of Curiosities. 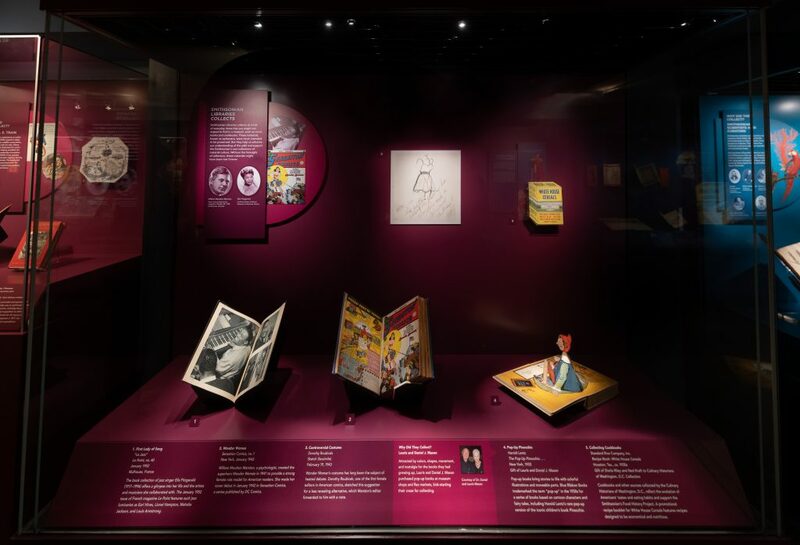 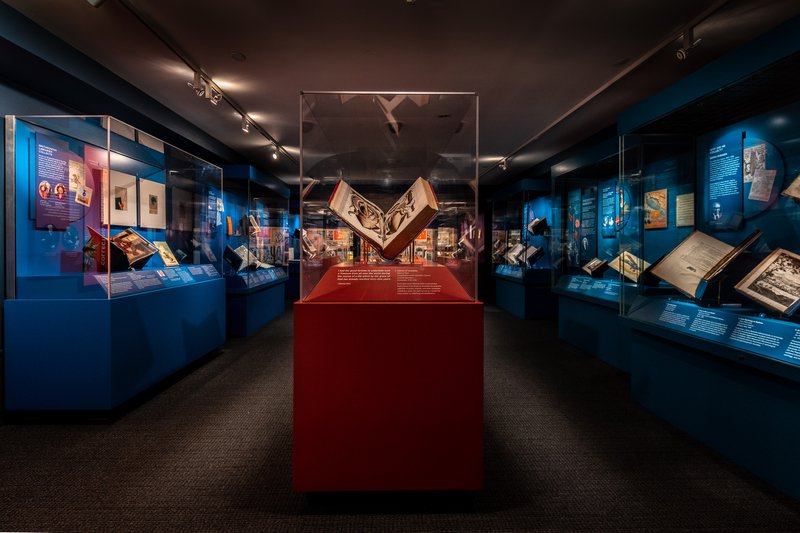 The exhibit features historic treasures as well as everyday items, such as comic books and cookbooks. 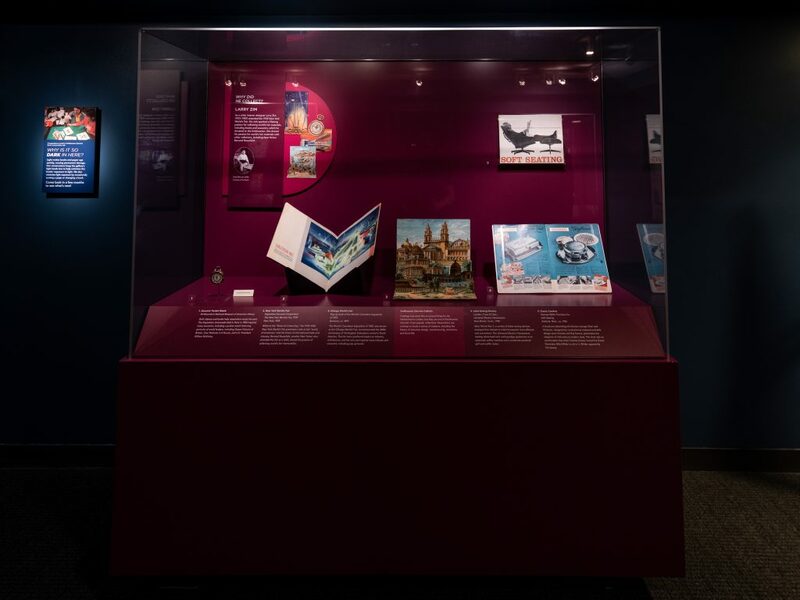 A wall at the back of the gallery features imagery from the books in the exhibit and asks visitors what they collect and why.